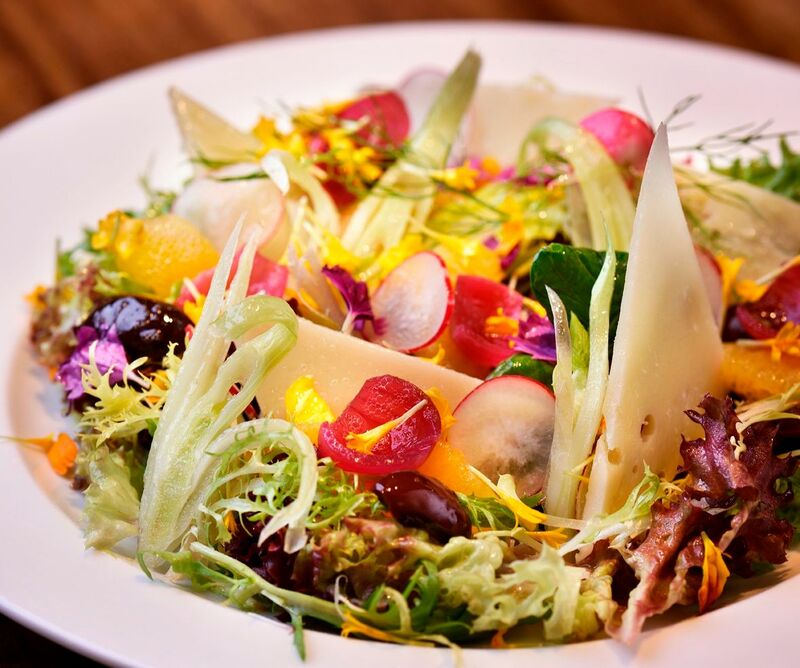 Head on over for a taste of the crisp and refreshing flavors of South Italy over at The Waterfall, Shangri-La Singapore. Chef de Cuisine Marco De Vincentis has curated a refreshed menu with 27 new a la carte creations and six new desserts including homemade pastas, fresh seafood and Southern Italian signatures. 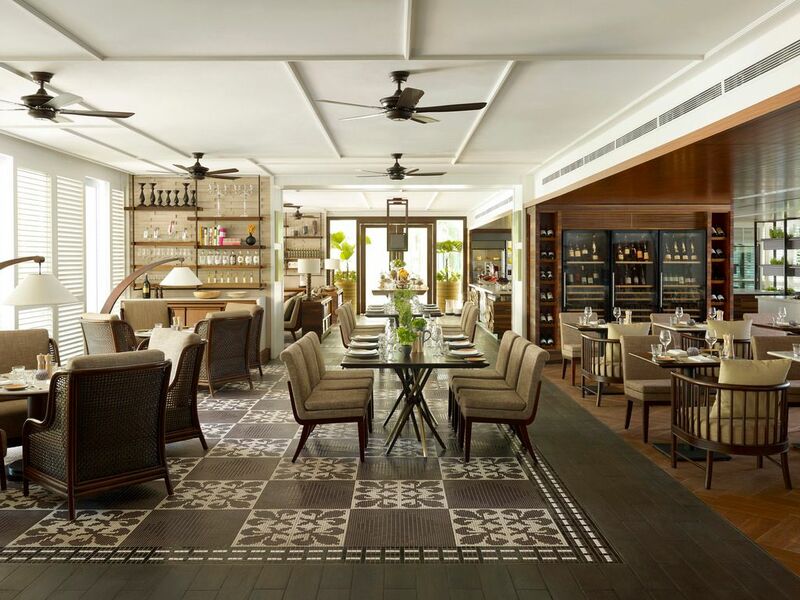 Fresh and seasonal produce is the highlight at The Waterfall, using authentic cooking methods and heirloom recipes. We enjoyed the Manzo Black Angus Marinato salad which features marinated Black Angus beef with pine nuts, rocket and pecorino cheese, drizzled with a delectable honey balsamic. The pastas are made fresh at the restaurant and you can pick from one of the 18 different flavors; and there are also egg-, dairy- and gluten-free pastas as well! 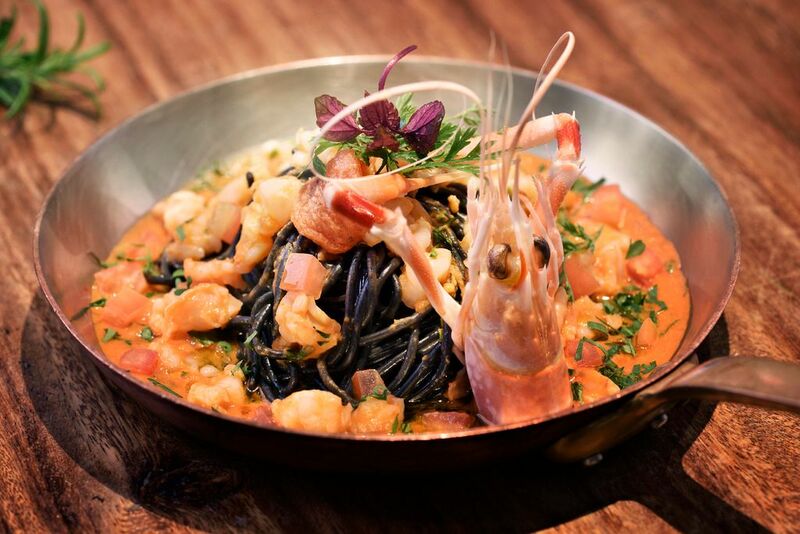 New highlights include Spaghetti Al Nero Di Seppia, Scampi E Datterini, homemade squid ink pasta flavoured with rich scampi sauce and cherry tomatoes with a hint of chili for added spice. I enjoyed the garlic seafood sauce but the pasta was a tad overcooked imo. For mains, The Baked Pink Snapper was delicious. I loved the sweet firm flesh with a nice golden crust all around and that pretty herbed mashed potato lightly tinted pink with beetroot juice. The caveman sort can go for the Slow-cooked Lamb with verbena-scented celeriac root puree, and Bistecca Alla Fiorentina with rosemary oil accompanied with baked potatoes. Other than the refreshed dessert selection which includes cakes and cookies, there's also a gelato section by Alfero Gelato! Love love love their super intense gelato. You must certainly have the nutty Pistachio, salty sweet Coconut Sorbet, nutty Bacio, and more. There's a special Waterfall flavor that is specially created by Alfero. A la carte dishes at The Waterfall are priced from $14. Expect other Italian favorites of cured meats and artisanal cheeses, as well as handmade pizzas!